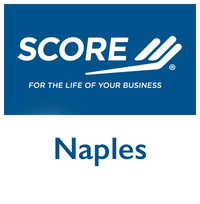 Trading on the success of last year’s Collier 2020 panel discussion, the Naples Chapter of SCORE, in partnership with Hodges University, is pleased to announce its sequel, Collier 2021, The Secrets of growing a Small Business in Collier County. This year’s event will again be held at Hodges University on Friday, September 21, from 8:15 to 10:00 AM, with registration beginning at 7:45 am. Each speaker will share his/her story including the keys to success and overcoming the challenges in launching and growing their businesses. After the speakers finish, the moderator, Kristi Bartlett of the Greater Naples Chamber of commerce, will moderate a 25 minute panel discussion followed by a 25 minute Q&A session with audience members. John W. Schmieding, Senior Vice President and General Counsel at Arthrex, Inc. The company has pioneered the field of arthroscopy and developed more than 8,500 innovative products and surgical procedures to advance minimally invasive orthopaedics. Patrick Neale, Attorney at Law is a civil mediator who practices law in the areas of land use, contractor, real estate, zoning, governmental and administrative, foreclosure prevention and defense, and bankruptcy. Timothy J. Cartwright, Chairman at Tamiami Angel Funds, whose goal is to bring together the entrepreneurial eco-system of SW Florida at special events organized to shine a spotlight on innovative leaders and exciting start-ups in our region.